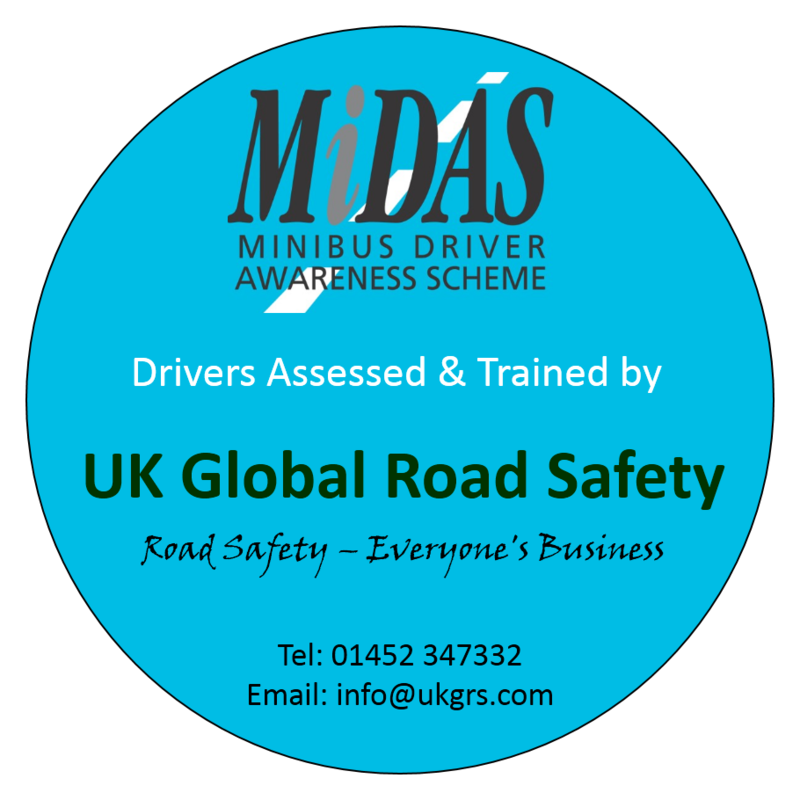 UK Global Road Safety have introduced a MIDAS Diver Approved Badge scheme. The aim of this badge scheme is to allow other road users and the public to recognise that an organisations minibus drivers have undertaken and been approved as minibus drivers under the nationally recognised MIDAS scheme. The badge as shown below is a high quality removable vinyl badge that can be placed on the glass within the minibus at a prominent position to demonstrate due diligence and duty of care by your organisation with regard to the assessing and training of you drivers. Actual badge size measures 120 mm diameter. If you are an existing client and wish to have these badges for your vehicles please contact our office.